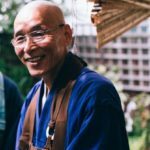 The Buddhist Studies Summer Program is an academically accredited residential study and practice program that combines traditional and academic approaches to Buddhist Studies. Students in the program live at our remote Northern California center and participate in daily sessions of teaching and meditation led by our Lamas, teachers, and translators. Students in the program may choose to receive internationally recognized academic credit through Kathmandu University’s Centre for Buddhist Studies at Rangjung Yeshe Institute. Click here for the BSSP Application form. Contact us for payment information. The Buddhist Studies Summer Program (BSSP) consists of two month-long sessions that focus on different elements of the Indo-Tibetan Buddhist tradition. Each session includes daily teachings on a traditional Buddhist text with our resident Tibetan Lama, Tsultrim Sangpo, meditation training from Tibetan and Western Lamas who have completed the traditional three-year retreat, and daily lectures on Indo-Tibetan history and philosophy by faculty from Kathmandu University’s Centre for Buddhist Studies. Students have the option of attending the full summer of programs or either of the two sessions, but academic credit is only available for participants in both sessions. 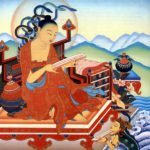 This session covers the core doctrines and practices of the Early Buddhist tradition and the Mahāyāna. 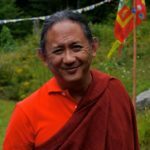 Lama Tsultrim will offer traditional teachings on a classic text of the Mahāyāna, which will be supported by meditation instruction from our Lamas. Our Western faculty will give daily lectures on the history and doctrinal development of the Early Buddhist tradition, and the advent and core ideas of the Mahāyāna. The second session introduces students to the history, ideas, and practices of the Vajrayāna, the tantric path of Buddhism. 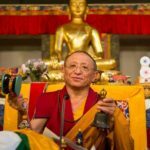 Lama Tsultrim will give detailed and comprehensive instructions on the stages of the key points of Vajrayāna practice based on a traditional practice manual. Students will also be introduced to the fundamentals of ritual practice, including the use of ritual implements, hand gestures, melodies, and instruments. Our faculty will give daily lectures on the complicated but fascinating history of Vajrayāna Buddhism and the development of its essential ideas. Classes in both sessions are offered five days a week, with two days off for personal study, practice, and enjoyment of Gomde California’s beautiful land. 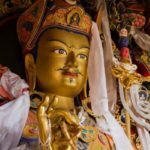 Gomde California is pleased to announce a partnership with Kathmandu University’s Centre for Buddhist Studies at the Rangjung Yeshe Insitutute. Through this partnership we are able to offer internationally recognized academic credit for full participation in the Buddhist Studies Summer Program. Students seeking academic credit must enroll in the full program, and will be asked to submit periodic papers and take exams. Students seeking credit pay an additional $500 to cover administration and registration fees. Students not enrolling for credit may enroll in the full summer program or either of the two sessions. Program fees include attendance at all major summer programs that occur within the respective session, lodging, three meals per day, six days each week, and participation in daily classes and practice sessions. Optional camping trips and social events are included. All participants are asked to help with minor daily chores and to staff major programs, but will have ample time to engage in private study and practice. If you have any questions about the program, please contact us. Students in the program may choose to receive internationally recognized academic credit through Kathmandu University's Centre for Buddhist Studies at Rangjung Yeshe Institute. Click here for the BSSP Application form. Contact us for payment information. The Buddhist Studies Summer Program (BSSP) consists of two month-long sessions that focus on different elements of the Indo-Tibetan Buddhist tradition. Each session includes daily teachings on a traditional Buddhist text with our resident Tibetan Lama, Tsultrim Sangpo, meditation training from Tibetan and Western Lamas who have completed the traditional three-year retreat, and daily lectures on Indo-Tibetan history and philosophy by faculty from Kathmandu University's Centre for Buddhist Studies. Students have the option of attending the full summer of programs or either of the two sessions, but academic credit is only available for participants in both sessions. The second session introduces students to the history, ideas, and practices of the Vajrayāna, the tantric path of Buddhism. 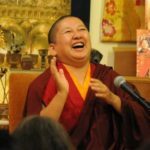 Lama Tsultrim will give detailed and comprehensive instructions on the stages of the key points of Vajrayāna practice based on a traditional practice manual. Students will also be introduced to the fundamentals of ritual practice, including the use of ritual implements, hand gestures, melodies, and instruments. Our faculty will give daily lectures on the complicated but fascinating history of Vajrayāna Buddhism and the development of its essential ideas. 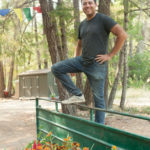 Classes in both sessions are offered five days a week, with two days off for personal study, practice, and enjoyment of Gomde California's beautiful land. Full tuition for not-for-credit students: $2990 Full tuition for students seeking academic credit: $3490 Session I or II only: $1495 Gomde California is pleased to announce a partnership with Kathmandu University's Centre for Buddhist Studies at the Rangjung Yeshe Insitutute. Through this partnership we are able to offer internationally recognized academic credit for full participation in the Buddhist Studies Summer Program. Students seeking academic credit must enroll in the full program, and will be asked to submit periodic papers and take exams. Students seeking credit pay an additional $500 to cover administration and registration fees. Students not enrolling for credit may enroll in the full summer program or either of the two sessions. Program fees include attendance at all major summer programs that occur within the respective session, lodging, three meals per day, six days each week, and participation in daily classes and practice sessions. Optional camping trips and social events are included. All participants are asked to help with minor daily chores and to staff major programs, but will have ample time to engage in private study and practice. Click here for the BSSP Application form. If you have any questions about the program, please contact us.